Volunteers at Wilfrid Laurier University’s Foot Patrol service could look forward to potentially having their police checks covered by the Students’ Union Essential Services Fee by next year. 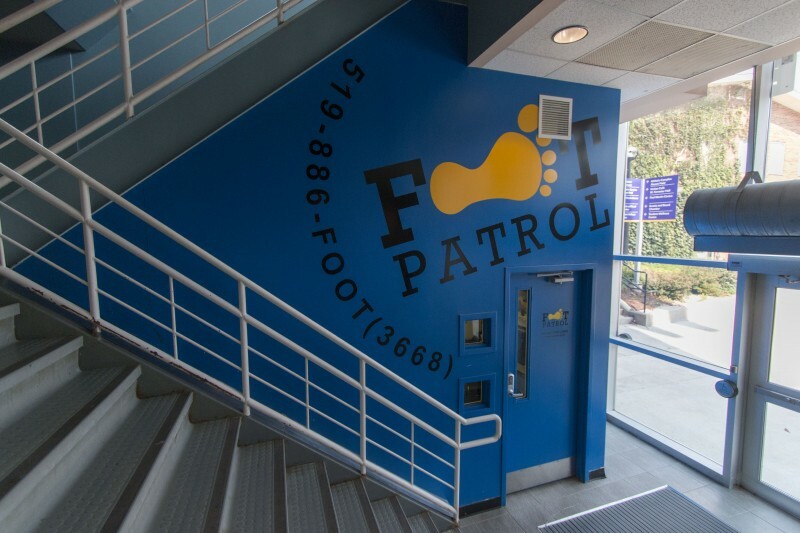 Last year, Foot Patrol started implementing police checks on their volunteers, paid for by the Wilfrid Laurier University Students’ Union. Foot Patrol continues to run their police checks this year, however the costs are not provided by the Students’ Union. “This year we started doing police checks again but because of our budget we couldn’t pay, so I sent out letters to all of the volunteers so they could take it to their local police station and get the subsidized volunteer rate,” said Joanna Sadgrove, vice-president of finance and administration. While around 80 or more of Foot Patrol’s volunteers now have to pay for their police checks, Foot Patrol felt it was necessary to continue in order to run the service. The cost for police checks can vary. However, police departments offer lower rates if volunteers have proof of employment. “[Prices] depends on the police department that you go to in Waterloo, our North Division is $10 for proof of being a volunteer so that’s why we wrote the letters,” said Sadgrove. “[Police checks were] a good change for the program, but I can understand the frustration students feel in paying to volunteer,” said Students’ Union president, Olivia Matthews. According to Sadgrove, Foot Patrol is hoping the essential services fee will pay for police checks next year. The fee was voted in during the Students’ Union elections to support the growth and sustainability of essential services. The Students’ Union can keep a reserved fund to ensure the budget money for groups such as Foot Patrol are maintained each year and cannot be cut or removed. “We don’t have a structure of how that money is going to be allocated within those essential services yet, but one of the things that we want to bring forward to the table about being included in that is paying for police checks for volunteers,” she said. According to Kaipa Bharucha, vice-president of programming and services, Foot Patrol does not have any regulations around who can volunteer other than their hiring process. The need for police checks came out of a concern for safety surrounding volunteers and students. “I think it’s just like safety for our volunteers has always been a concern, just something we want to focus on, whether that’s for the volunteers who are participating and what they’re kind of doing or going through or for our students who are using our services,” she said. According to Matthews, Foot Patrol, as well as Peer Connect and Emergency Response Team, now require their volunteers to receive police checks for the sake of risk management. “When you’re in close quarters with the students, I think it should be necessary to have a police check,” she said. Matthews also noted how Foot Patrol’s training, hiring and regular monitoring is also part of the organization’s risk management. “It’s important to note that not everything can be reflected in a police check especially for people our age, majority of it is expunged, like if you have something that would be on a police check and you just turned 18 for example, it’s probably not going to be there,” Matthews continued. While there is no catalyst or specific reason for the introduction of police checks, Matthews stressed the need to be proactive rather than reactive. “For us as a not-for-profit we have to focus on risk in every element, so I think it’s not so much as a catalyst it’s us being proactive instead of reactive,” she said. Monday afternoon an email was sent out to Foot Patrol volunteers directing them to refer to Foot Patrol coordinator, Jasmeen Mangat, Kaipa Bharucha and Olivia Matthews instead of answering questions.